Having a busy schedule should never get in the way of having clean and fun nails! I always believe that people with clean nails are very clean people. Nails = hygiene, they say; so although my nails are kept reasonably long, I do try my best to have well-kept nails and to also incorporate nail art on my nail beds to spice things up every now and then. Luckily, DressUpUrNails sent me a lovely nail patch that I'm sure you guys would love too. Read more after the jump! Because green is my favorite color, it is only ordinary that I chose the green design from DressUpUrNails website. No regrets though because everything looked so darn pretty upon use. I love how it has lace-like prints all over. This particular design is called Khaki Victoria* and I definitely recognize the modern yet classic elegance that manifests through the print! 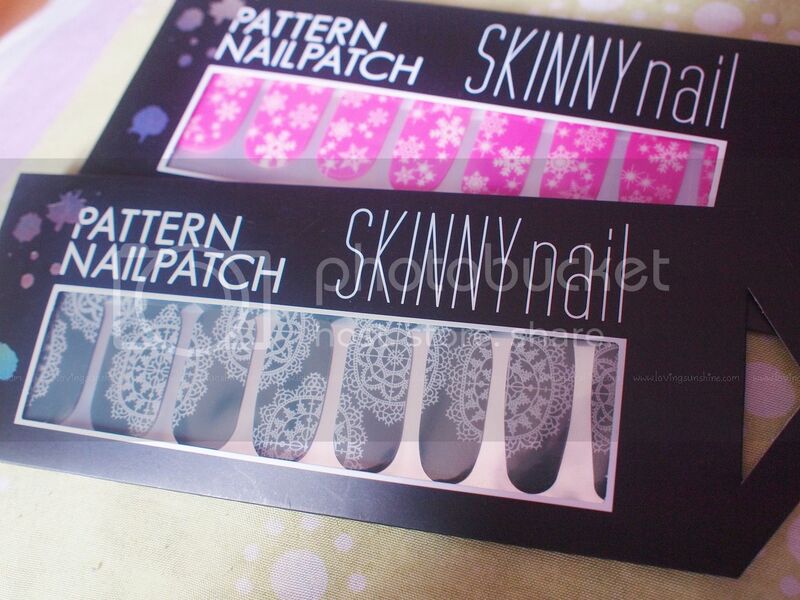 It's my first time to ever use something like this and coming from a polish patch newbie, there really is nothing to be intimidated about when using nail stickers as such because the likes of Skinny Nails are SUPER easy to use. All you have to do is peel of the patch from its plastic sheet, attach on the nails, and voila! Salon perfect nails all the time! No water-dipping or whatever messy step required! To wear it, all you have to do is PEEL AND PATCH. If you have short nails, you're definitely going to thank the heavens for skinny nails because they're quite an idiot-proof bunch! Here's a photo of my first ever try on nail patches! 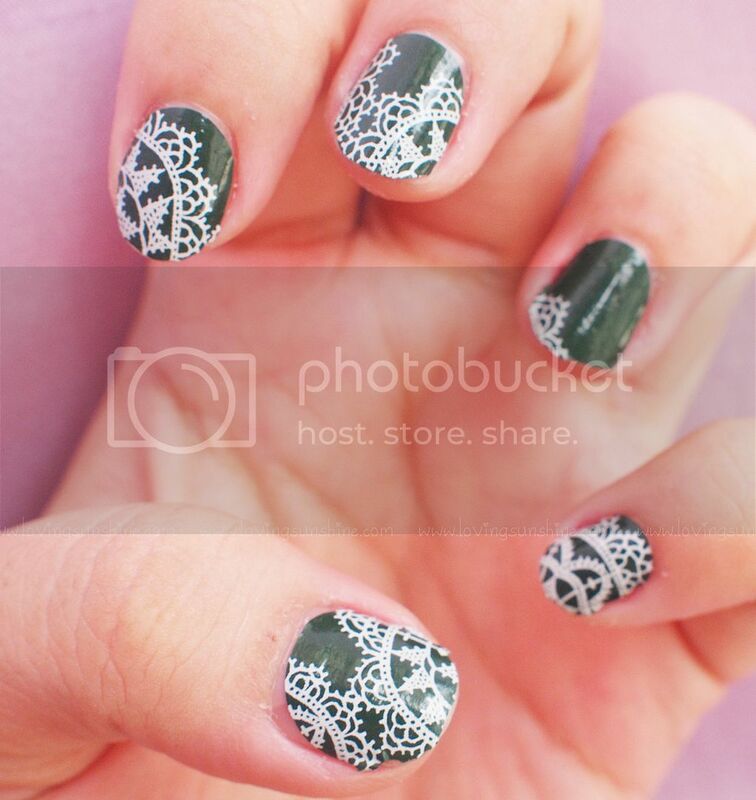 I love that using nail patches mean I have different intricate designs for each nail! No worries about perfecting such an intricate the design mano-mano. 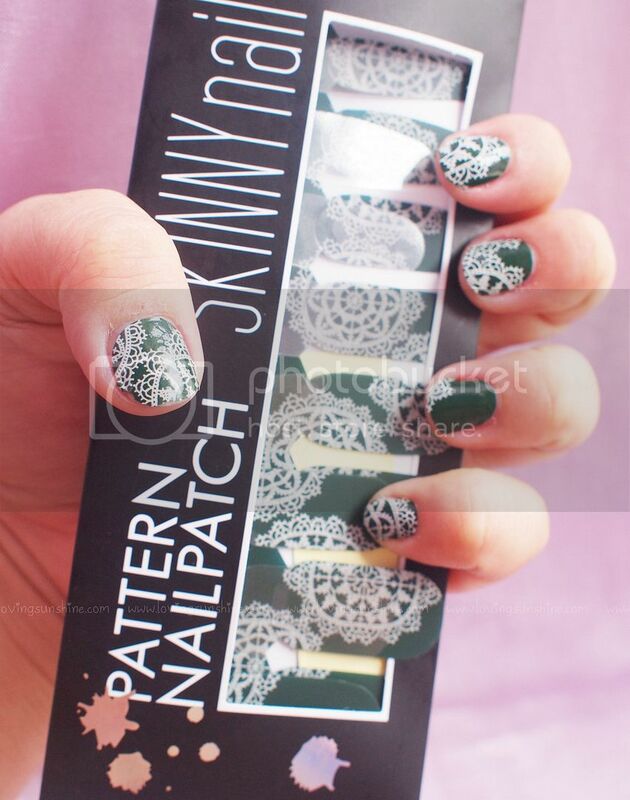 What to love about Skinny Nails is it offers the convenience of a touch and go application of very intricate designs. They last quite a while too, just resist the urge of scratching it off. To apply it, all you have to do is ready your nails. It should be clean and dry (no oil or any film of cream so the patch would adhere to the bed more effectively). For full color patches such as Khaki Victoria, you don't have to wear a polish anymore. Also, no need to wear base coat. Skinny Nails doesn't stain at all! Next you choose which size fits your nails. The great thing about having short nails is you can actually divide one nail patch to accommodate two of your nails--that's what I did! Once you've chosen which patch to use on your nails, simply peel it off and apply it on your nail bed. Use your clean fingers to apply the patch then use a wooden cuticle pusher to ensure that the patch stuck on your nail bed evenly. File the excess and voila, super cute nail art in less than five minutes! No hassles of making a mistake, creating a mess, getting dizzy from nail fumes and having to wait for your nails to dry! It's a touch and go type of beauty product suitable for busy queen bees like us! I'm over the moon over this design so yes I'm so excited to share this with you! Add them on Facebook! Comments below please :D Like this post if you want a giveaway! I think not. Decals need water right? This doesn't. It's as simple as peel and patch. I have yet to try these! I see them everywhere, but I don't like any of the patterns. I always look though. I think when I finally find a pattern I like I going to cut them and just put them on the tips or do a chevron moon mani with them. AWESOME!